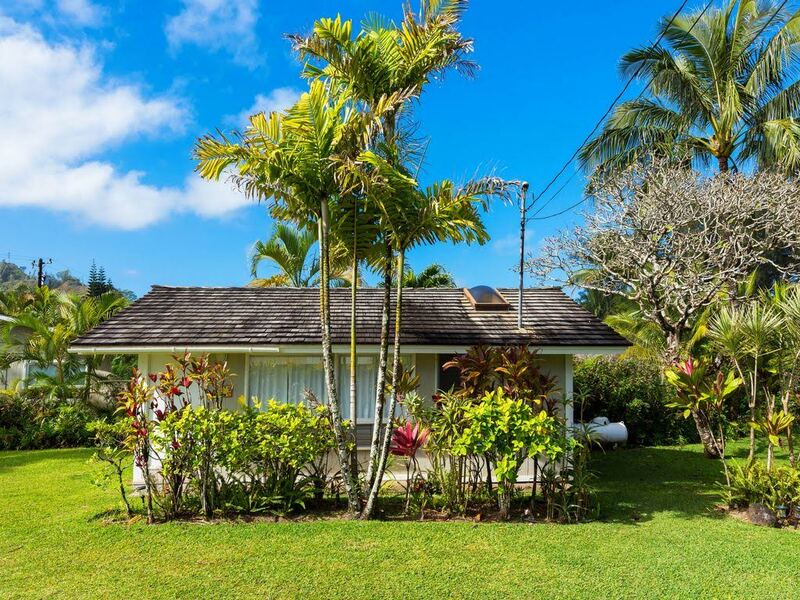 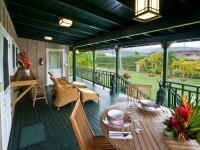 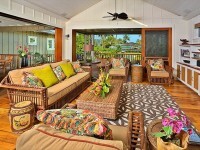 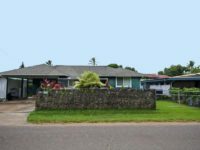 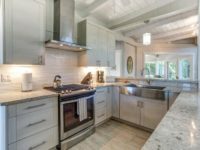 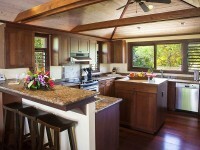 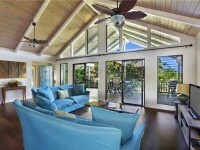 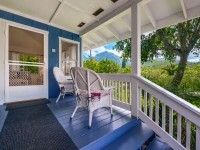 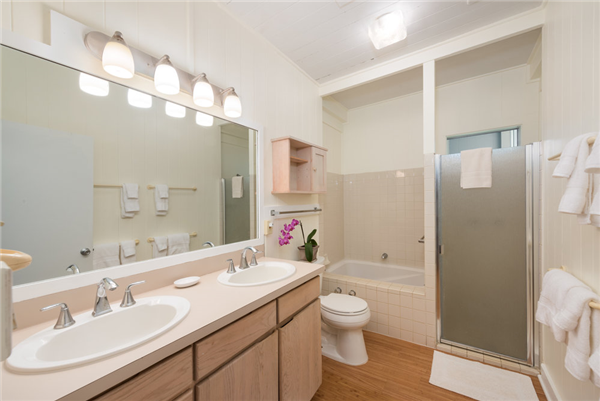 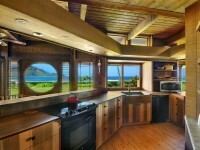 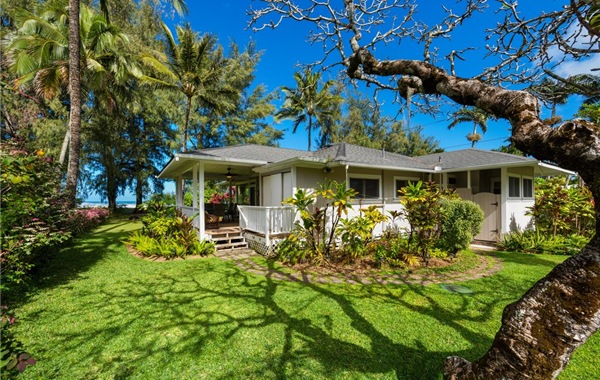 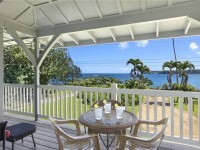 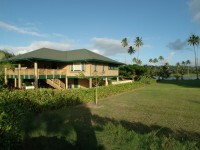 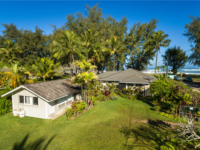 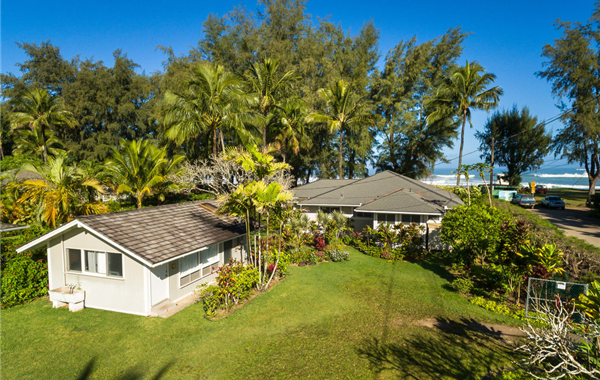 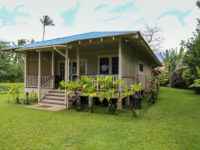 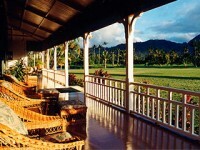 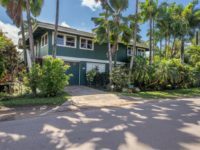 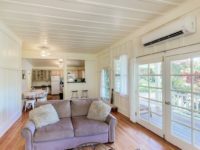 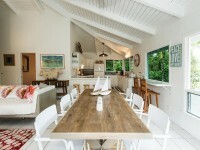 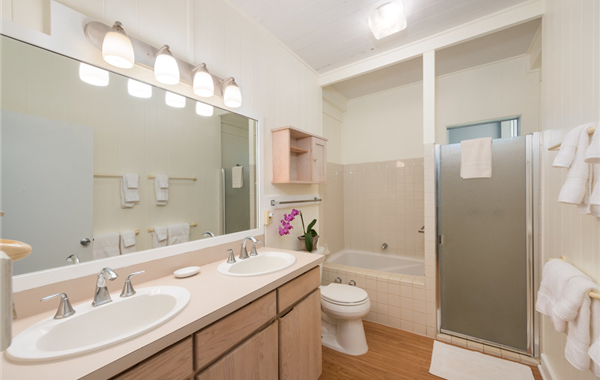 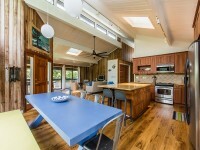 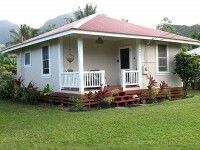 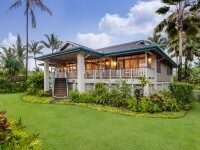 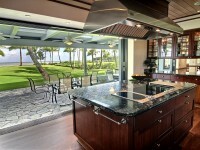 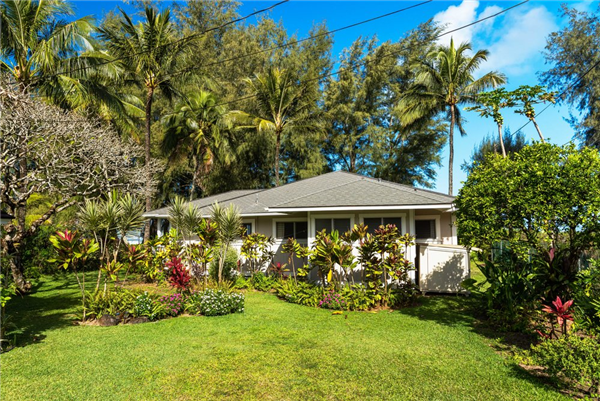 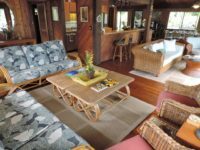 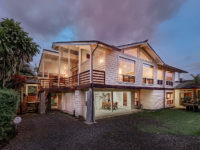 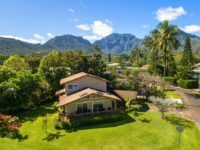 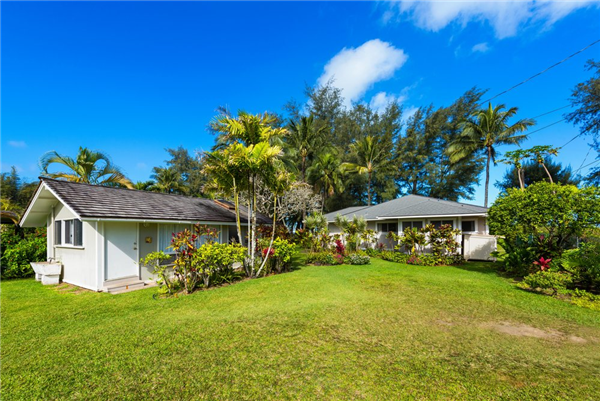 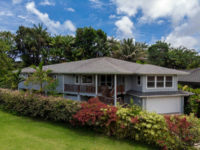 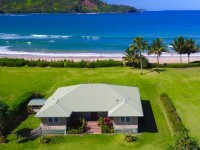 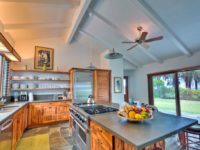 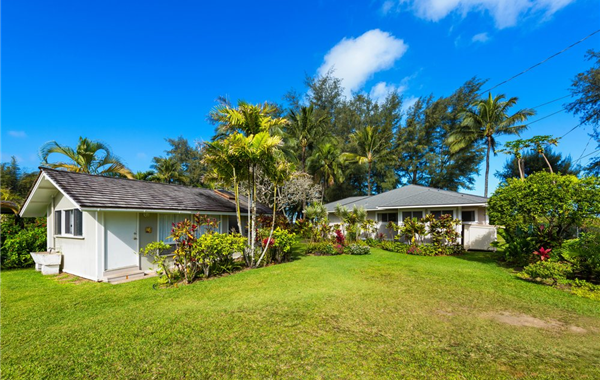 HANALEI, KAUAI VACATION RENTAL: Location location location! Nani Nani Hanalei is at the center of Hanalei Bay and near Pine Trees Park. 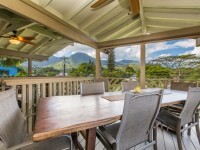 It’s the perfect location to leave your car behind and walk or bike to all the delicious dining and fun activities in Hanalei town. 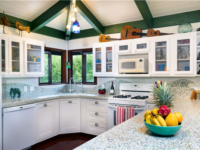 Hawaiian-style, simple in nature, this is the perfect family-friendly home to enjoy with loved ones. 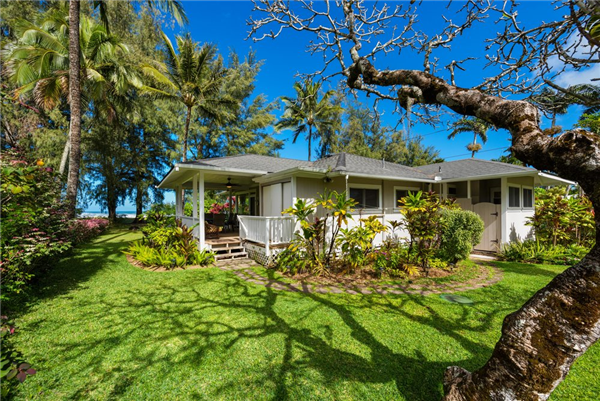 Nani Nani Hanalei sits on over 1/3 acre on Hanalei Bay’s famous Pine Trees Park, which is a surfer’s favorite in the winter and a calm bay for swimming and snorkeling in the summer. 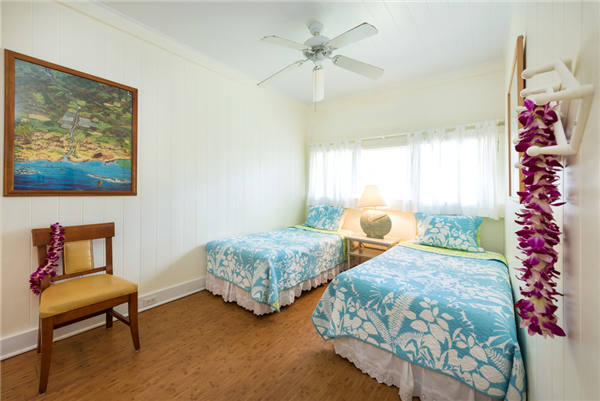 This single-level 3 bedroom home and 1 bedroom guest cottage is family friendly with 2 king, 1 queen and 2 twin beds. 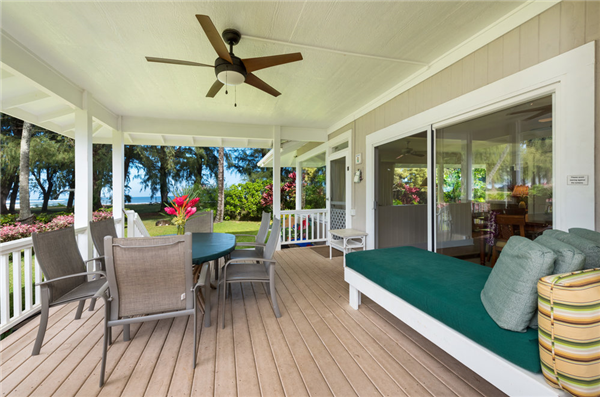 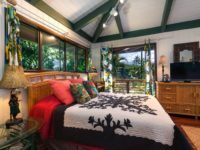 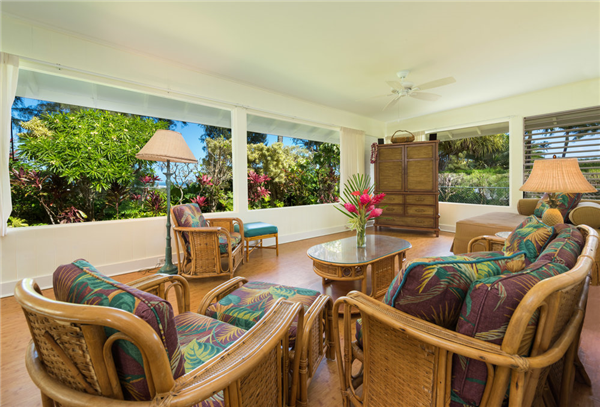 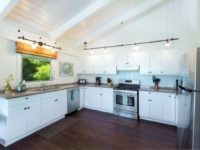 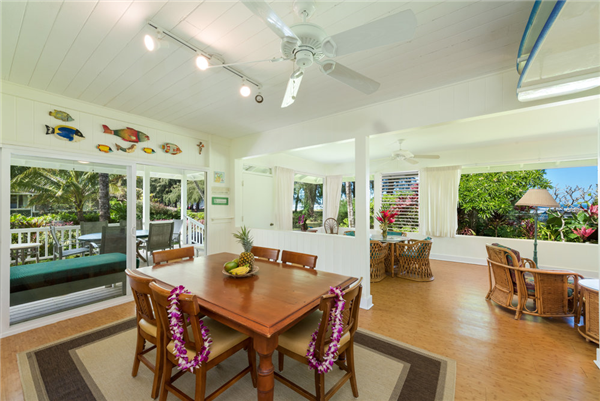 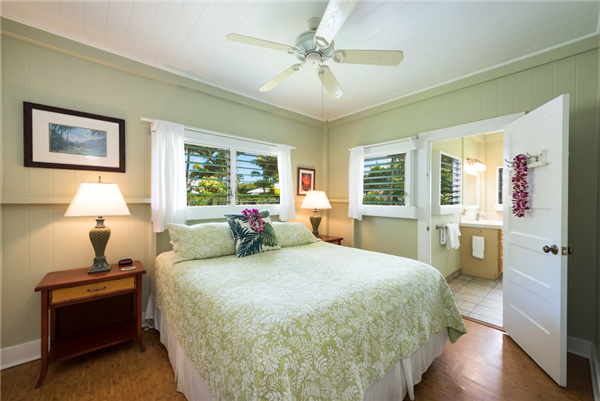 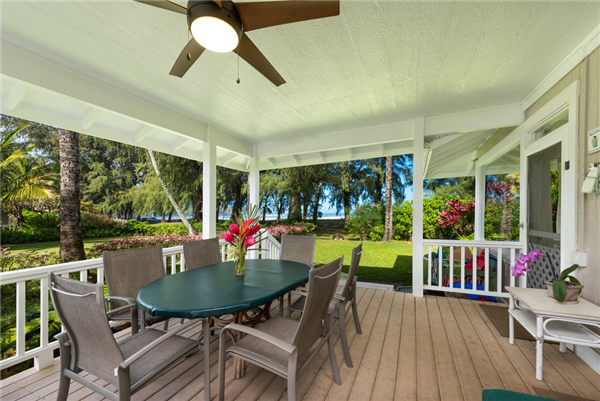 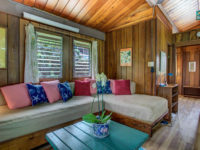 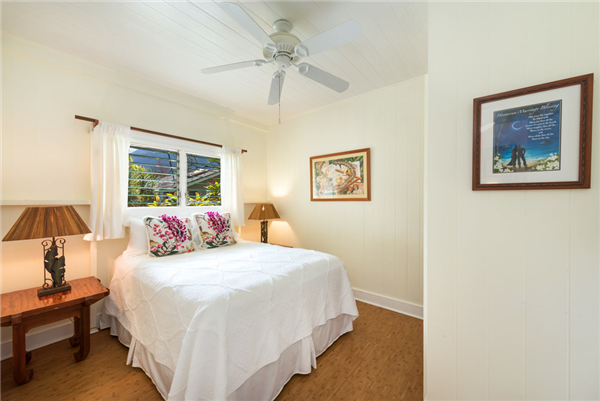 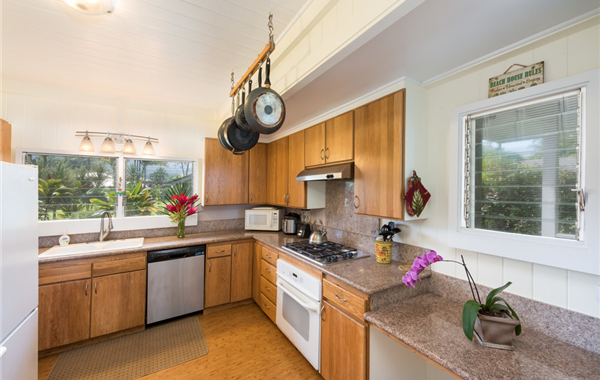 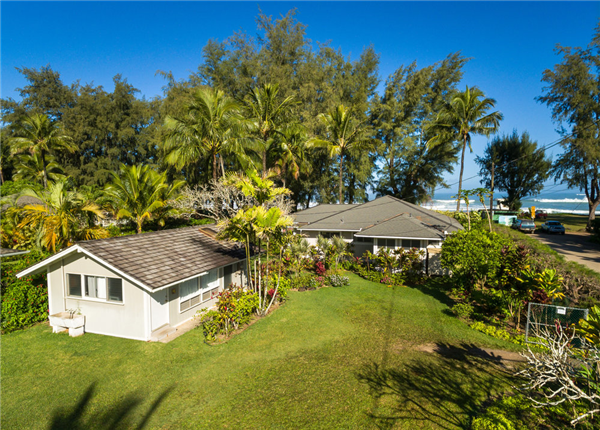 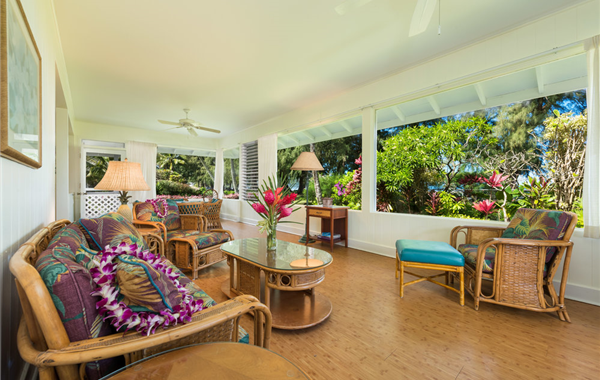 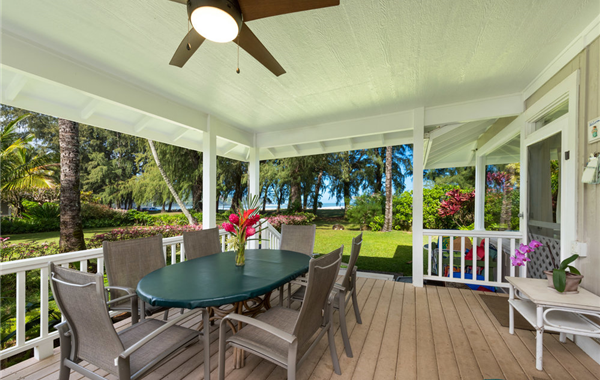 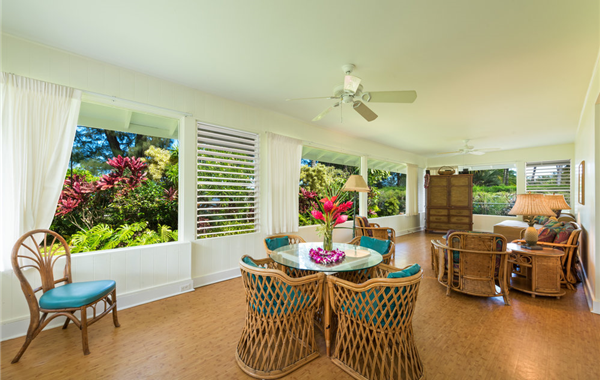 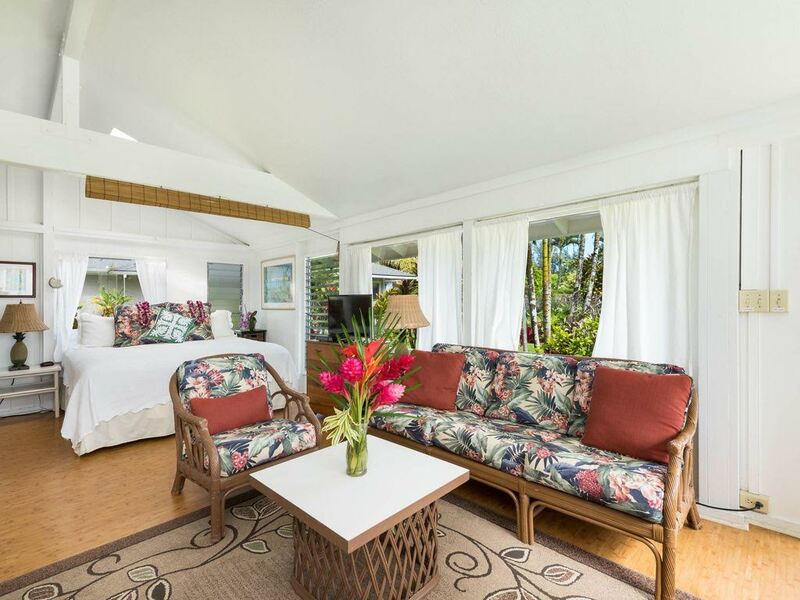 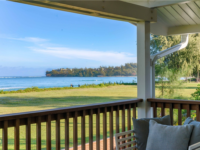 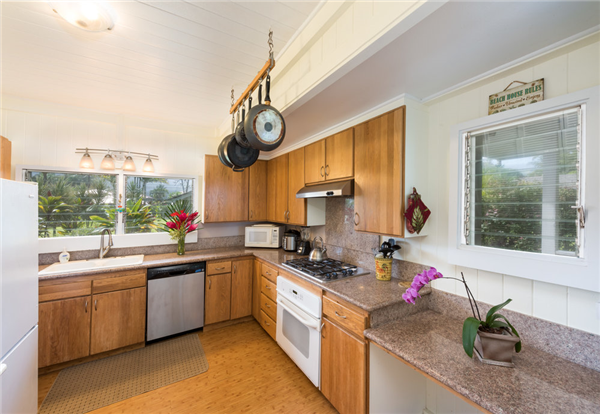 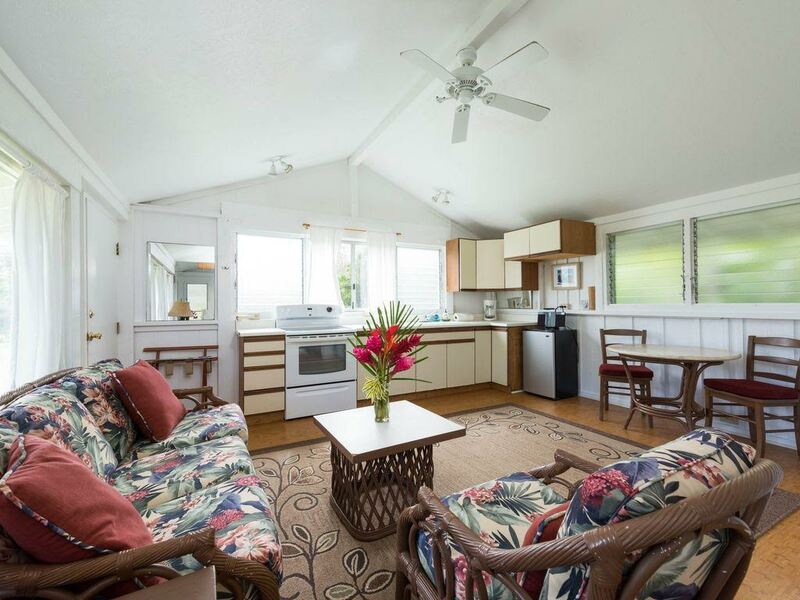 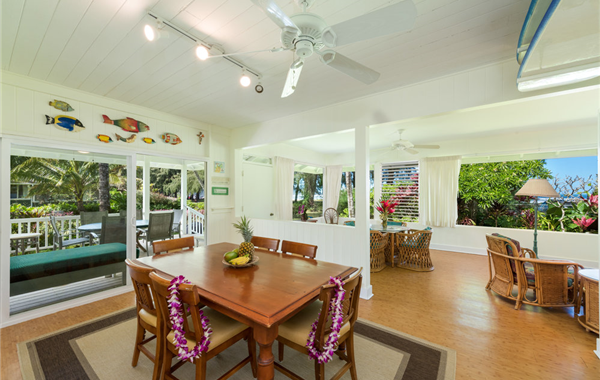 An amazing covered lanai where you’ll be sipping your morning coffee, reading a book on the punae bed, or laughing with friends over the day’s excursions while gazing at beautiful Hanalei Bay to the north and the extraordinary mountains to the south. You’ll find the peace and tranquility restoring and rejuvenating. 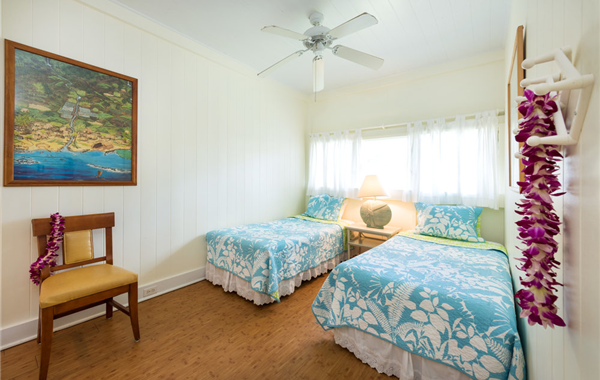 It’s never too late to start a tradition. 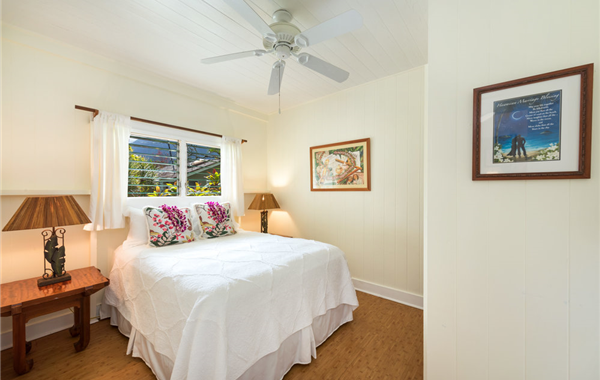 Take a week out of your routine and stay at Nani Nani Hale. 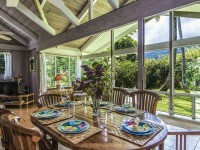 Be surrounded by nature’s awesome beauty as you enjoy new adventures with family and friends. 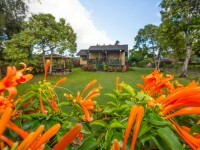 The family that owns Nani Nani Hale has made it a tradition for over 30 years with. 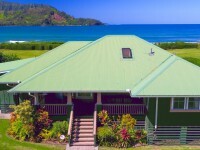 They’re full of treasured memories from checking out Waioli Stream every morning, enjoying the Hanalei pier, seeing colorful rainbows, eating mountains of shaved ice, boarding the summer swells, strolling at Secrets, snorkeling Ke’e and Tunnels, having board and card game tournaments, birthday celebrations, preparing excellent ahi dinners, picking star fruit, evening beach fires and s’mores, watching the dolphins, and always walking and swimming the Bay to the North with the beautiful Namolokama mountain and cascading waterfalls to the South.